Now lets see what Alejandro Nario, Uruguay’s National Director of the Environment tweets about the image of the shared cruise ship. 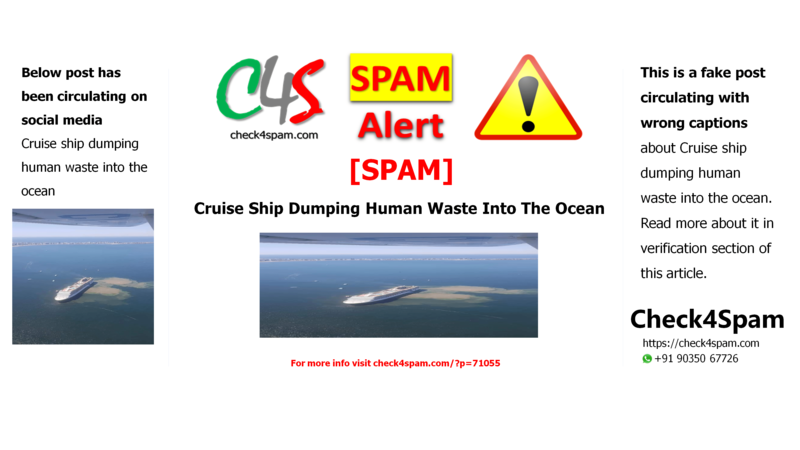 In the image the cruise ship is starting up its turbines before dropping anchor, and thus the brown clouds visible on the surface of ocean are sand and mud mixed up from the bed of the ocean and is not human waste. Check the picture below: This is mud and water on surface after the turbines starts.